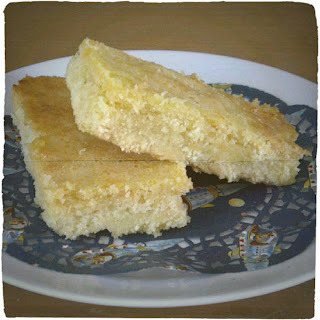 These lemon bars are the perfect mix of sweetness and tangy lemon. They have been a big hit with my friends and go great with a cup of coffee. Put the sugar, eggs, lemon juice and lemon zest into a bowl and whisk with a metal whisk until all ingredients are mixed togehter. Carefully pour the mixture over the base and return it to the oven. Bake for a further 20 minutes, or until the edges of the bars are golden brown and the topping has set. Leave to cool completely, cover and keep it in the refrigerator overnight. The bars are much easier to cut when they have been left to set.